Slim Bodyline provide LPG Endermologie Treatments in London. LPG Endermologie is a deep massage therapy treatment that targets cellulite, it is also known as BRT. 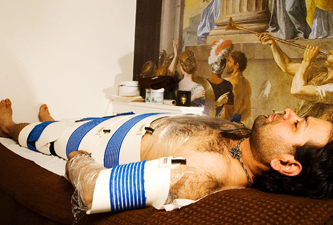 It is undertaken with vacuum suction so that the skin and subcutaneous tissue (dermis and some fat) is kneaded into a rolling device while negative pressure holds the skin in the rollers. The FDA APPROVED method to reduce cellulite temporarily is Endermologie®. It smoothes the cottage-cheese appearance of the skin. The purchase of a Body Suit* is required for your first treatment at a cost of £35.00. This suit will be yours to keep and will need to be used for subsequent Endermologie treatments. *If you already own an Endermologie body suit this can be used.